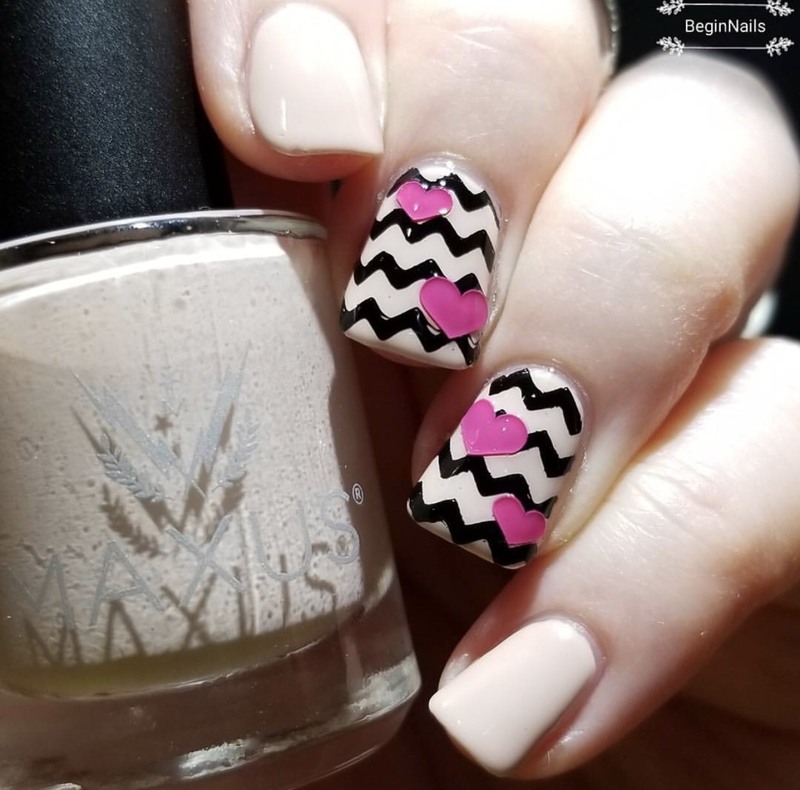 I couldn't do this week's Inspired By Each Other without doing a mani that Kristi (BeginNails) had done. Kristi is one of the nicest people that I have ever "met" (I've never actually met Kristi in person, only online but I think that counts) and I am sure she doesn't have a mean bone in her body. She always has the nicest things to say. Plus she did this cute mani that I wanted to copy. I'm pretty sure that Kristi used vinyls for her mani but I really don't like vinyls (they don't agree with me) so I decided to go with stamping and some studs. For my base I used China Glaze Bourgeois Beige, and stamped using Hit The Bottle As Black As Night. Stamping image is from Lina Nail Art Supplies Feeling Shapely 01. Studs are from Born Pretty Store. I really like the added pop of colour is this mani. OMG! you are so sweet! I do have a few mean bones...my mad face gets all like HULK. :) LOL I love your mani the studs give a cool 3D look!